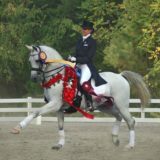 Virginia’s premier equestrian event facility featuring horse shows of all disciplines and for all breeds of horses. Open to the public. Most events free of charge! © Lexington & the Rockbridge Area Tourism Development. | All Rights Reserved.